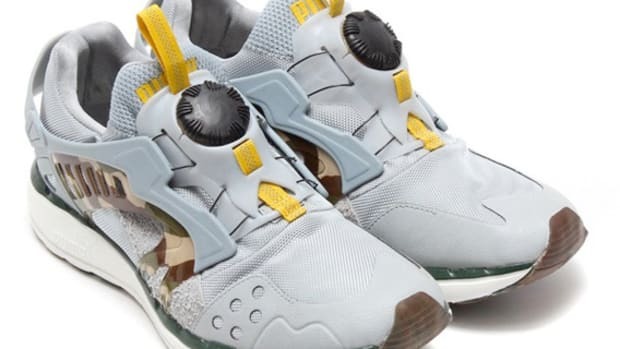 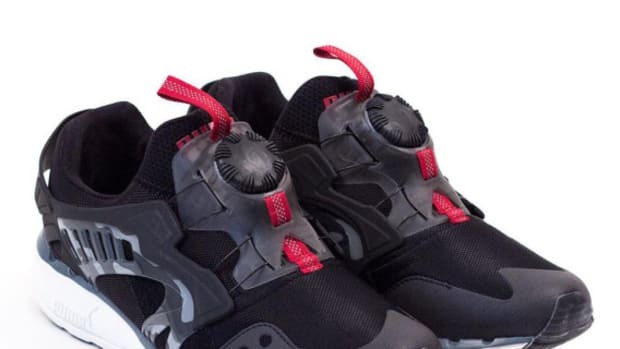 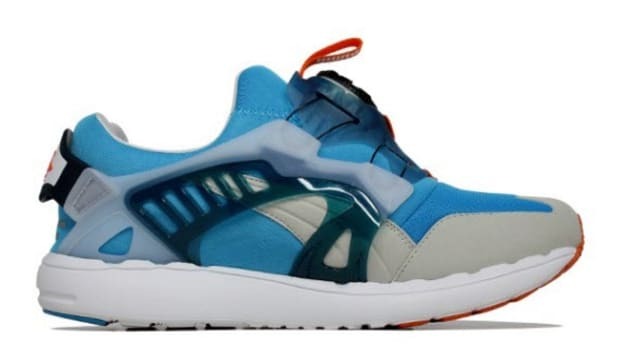 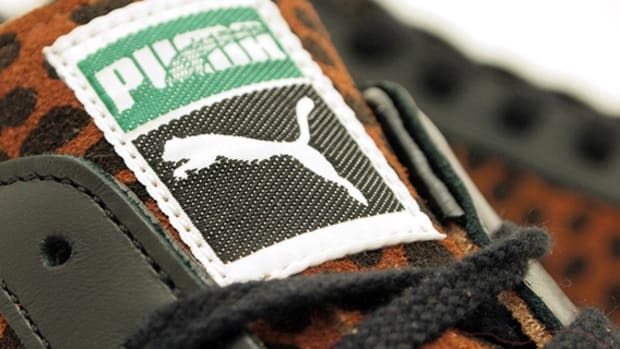 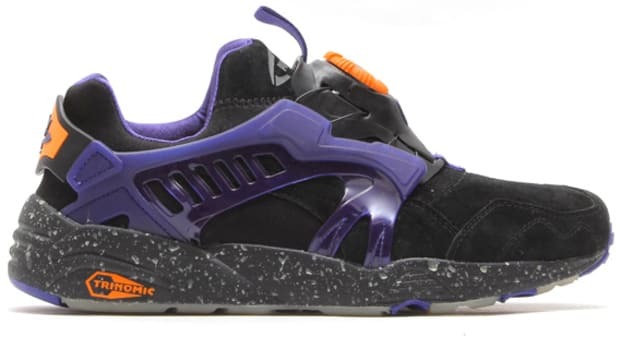 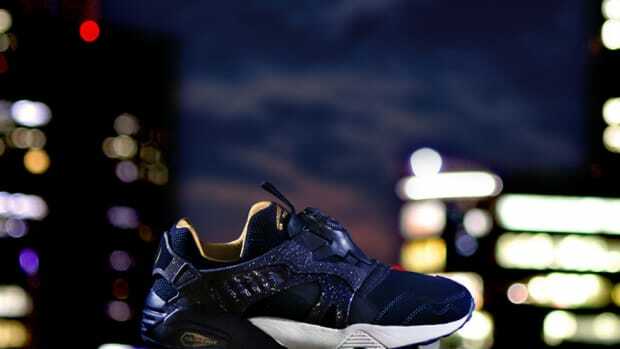 Appeared in 1992 as the world’s first laceless running shoe, the PUMA Disc Blaze is enjoying a resurgence in popularity once again thanks to the recent introduction of new collaboration like the one by Japanese retailers atoms and jouetie. 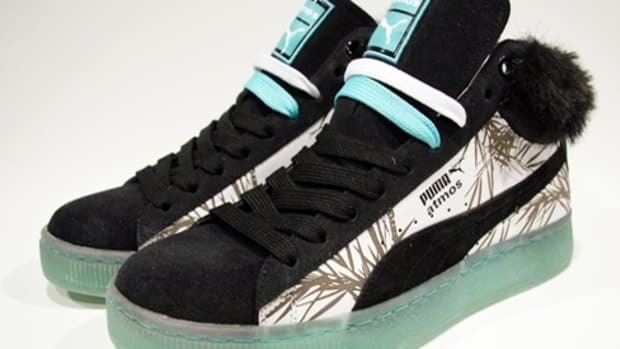 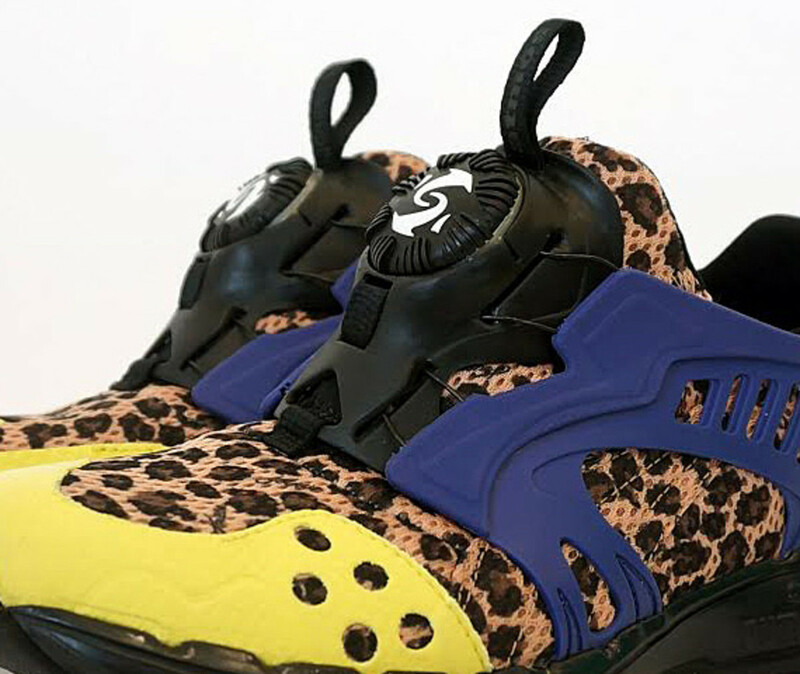 By infusing atoms’ signature animal print (cheetah in this case), jouetie’s Harajuku-inspired “Rock n’ Mode” style, all against a vibrant overlay of yellow and navy blue, the atmos x jouetie x PUMA Disc Lite is sure to be an attention grabber. 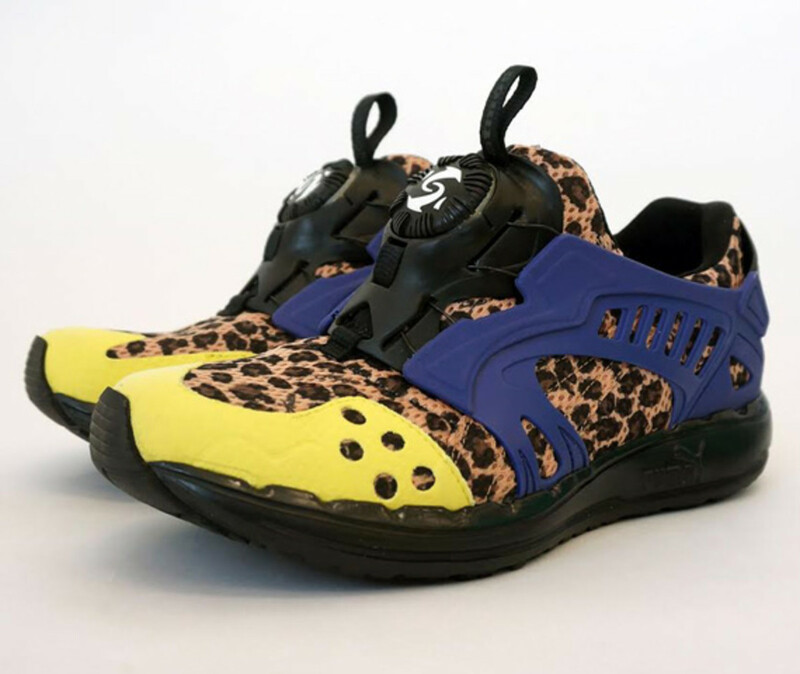 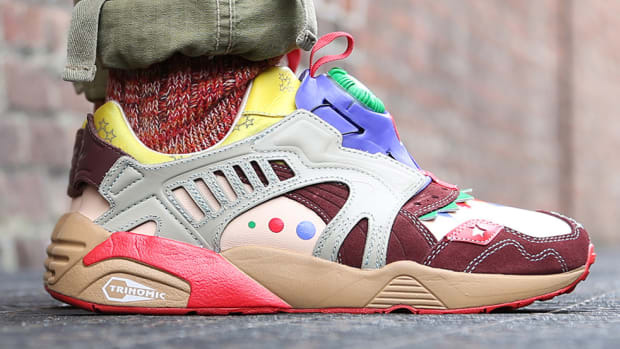 Comes in both men’s and women’s sizing, the wild collaborative design is already available in Japan and will be reaching selected sneaker retailers worldwide on Saturday, March 8th.